Hi, I’m DarkMilk and I am a level 10 who has been playing Clash Royale since the game was released to the public. My PB is 3300 and I am in the clan U.S.A 2 (you can check me out if you want). I have always wanted to make a guide and the furnace is one of my favorite cards along with the mortar. I really like the furnace because it forces the opponent to constantly defend the Fire Spirits it spawns. My current 12-win challenge deck is Mortar, Furnace, Archers, Ice Wizard, Ice Spirit, Skeleton Army, Log, and the Rocket. The Furnace is unlockable from Arena 5 (Spell Valley). The Furnace spawns two Fire Spirits at a time. It also makes great brick-oven pancakes. The Furnace was originally released during the May Update on May 5th, 2016. 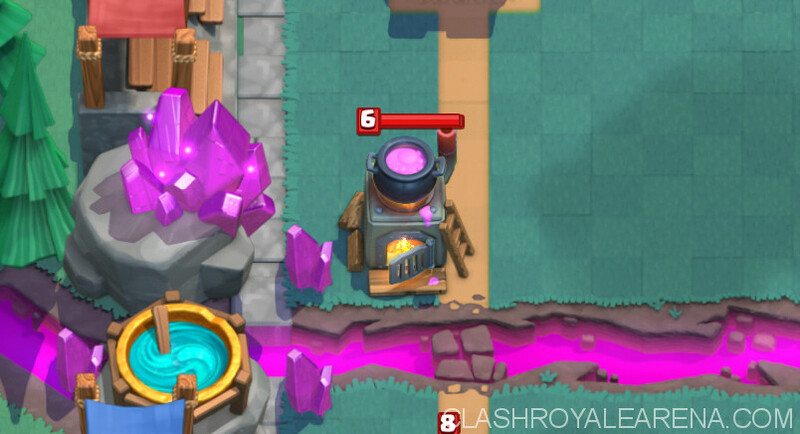 During balance changes on May 18th, the Furnace’s elixir cost was decreased to 4 (from 5) and it’s hitpoint’s were decreased by 14%. It’s lifetime was also decreased to 40 seconds (from 50 seconds). During later balance changes on the 21st of June, the Furnace’s lifetime was increased to 50 seconds. Why should I use Furnace? The Furnace is one of the most versatile, unique cards that can be used for many different things. 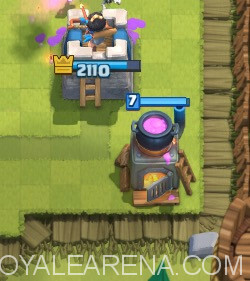 The Furnace can be placed to provide support for a tank or one specific card that you want to protect or the card can be used to get constant chip damage on a tower. If the Furnace is leveled high enough, one of the Fire Spirits will always get to the tower dealing about 200 damage. 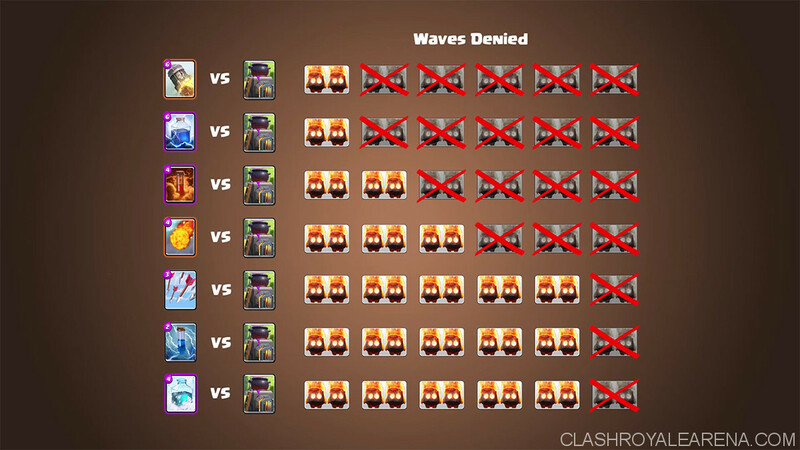 Thus a level 10 tower with 2726 HP would be destroyed from about 13 Fire Spirits (3 Furnace placements). Thus, the furnace is commonly found in miner control decks as well as Royale Giant decks. The point of these types of decks is to defend your opponents pushes and consistently get chip damage on your opponents tower with Fire spirits, Miner and possibly the Princess. In this type of deck, the Furnace is placed behind the crown tower to get damage on the opponents towers. This is a basic Royal Giant deck from the current meta found in Legendary Arena. Most RG users have a high level Royal Giant that they play consistently, stacking up support troops behind it. They usually play a furnace in the middle of the map in the position mentioned above. When they play the Furnace on the side that they are pushing with the Royal Giant, the Royal Giant is protected from Minions, Skeleton Armies and even Barbarians. 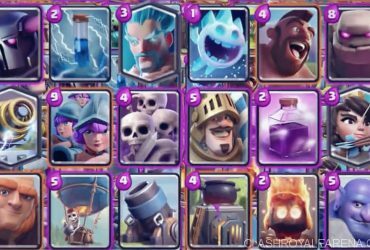 Mortar-Furnace Siege Deck: -Mortar -Furnace -Archers -Skeleton Army -Ice Spirit -Fire Spirits -Log -Fireball. In this deck you push the lane with huge pushes of Golem with support. The Furnace placement doesn’t matter but you want it on the side that you are pushing so the Fire Spirits can take out whatever is placed on the Golem. Example: Golem crosses bridge and opponent places Minion Horde. The furnace spawns a set of Spirits that run and demolishes the Minion Horde. The furnace is mostly an offensive card but it can be used on defense to defend against Hogs, Giant pushes, and Lava Hound pushes. 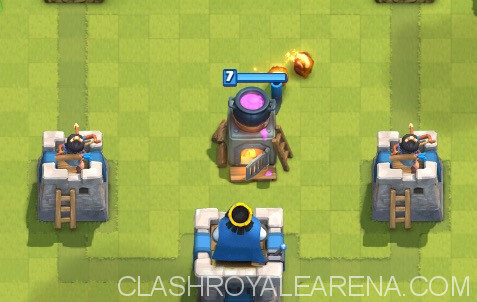 The Furnace is helpful because its Fire Spirits provides splash damage to the units that are coming towards the tower. The furnace has a good amount of hitpoints and can survive a few shots from a hog rider. Using the center placement for the furnace can provide great defense because it lures the opponent’s troops to the middle of the map, enabling them to be hit by both towers. When I am playing a Lavahound deck i usually place the Furnace in the back corner to provide constant damage on the opponent’s push. Also when the hound pops the Fire Spirits kill off a few of the pups. The Furnace is a hard card to counter for a positive elixir trade because it is 4 elixir. The Fireball and the Poison spell doesn’t kill the Furnace and the Rocket and Lightning spell is a negative 2 Elixir trade. I would suggest playing a Miner on the Furnace if it is in the back corner of the map. If the opponent places a Furnace in the middle of the map you can play a Giant or a Hog, which will take the furnace out if the opponent doesn’t play a hard counter. Another way I counter furnace is playing a baby dragon or archers if they are in my deck. Both cards kill the fire spirits and have enough health to get to the furnace and take it out. If you made it here I’m surprised! 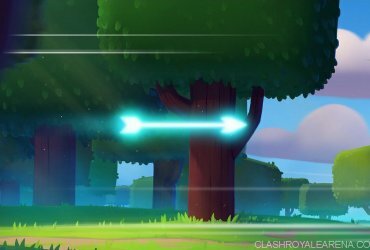 Thanks for reading this guide, please rate it and comment what you think! Please and thank you! Also, I hope you learned something from this!